From the sculptured peaks of Mount Rushmore to the Coloradan prairie lands at Sand Creek to the idyllic islands of the Pacific, the West’s signature environments add a new dimension to the study of memorials. In such diverse and often dramatic landscapes, how do the natural and built environments shape our emotions? 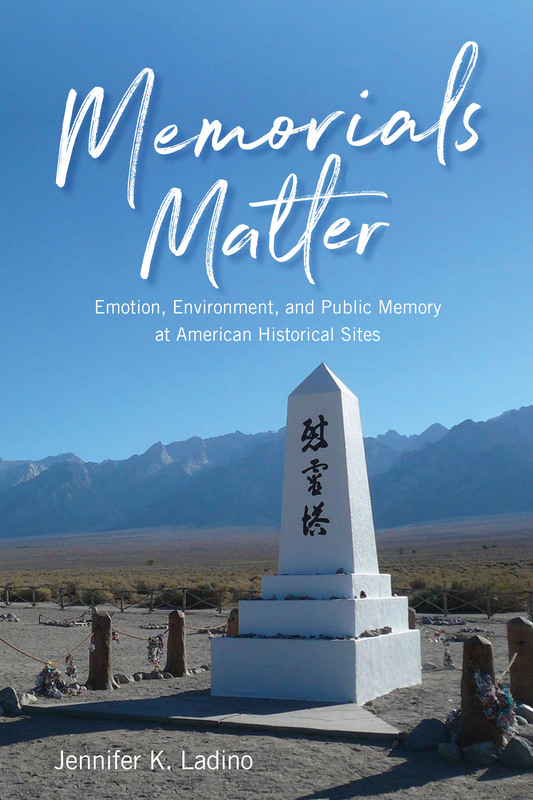 In Memorials Matter, author Jennifer Ladino investigates the natural and physical environments of seven diverse National Park Service (NPS) sites in the American West and how they influence emotions about historical conflict and national identity. Chapters center around the region’s diverse inhabitants (Mexican, Chinese, Japanese, African, and Native Americans) and the variously traumatic histories these groups endured—histories of oppression, exploitation, incarceration, slavery, and genocide. Drawing on material ecocritical theory, Ladino emphasizes the ideological and political importance of memorials and how they evoke visceral responses that are not always explicitly “storied,” but nevertheless matter in powerful ways. In this unique blend of narrative scholarship and critical theory, Ladino demonstrates how these memorial sites and their surrounding landscapes, combined with written texts, generate emotion and shape our collective memory of traumatic events. She urges us to consider our everyday environments and to become attuned to features and feelings we might have otherwise overlooked. Jennifer Ladino is an author and associate professor of English at the University of Idaho, where she specializes in American literature and the environmental humanities.